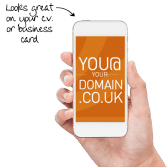 Match your domain name to your contact details by creating you@yourdomain.com for an instantly professional approach. With our Personal and Business email hosting, you choose your own email address without worrying about usernames already being registered – no numbers, no rethinking, no compromise. Access your email from anywhere using your choice of computer, smartphone or tablet. You’re not restricted by browser or operating system to ensure you’re never out of touch with your emails. 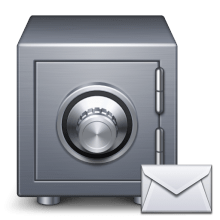 POP3 and IMAP are available with our email hosting plans, giving you full control over how you receive and manage your email. Stay connected with efficient email and calendar tools to streamline your tasks. 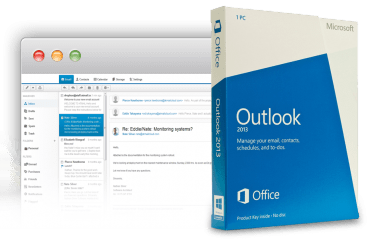 Microsoft Outlook 2013 is the most powerful way to manage your email and organise your time. Outlook includes a range of advanced features such as email conversation management, the ability to combine multiple email accounts, mobile device synchronisation, common task automation, and integrated social network communication. Automatic syncing ensures that, whatever device you’re using, whether it’s your desktop computer, laptop, tablet or smartphone, you can use Outlook or its integrated web app to manage your email. If you send an email, update your calendar, or tick an item off your task list from one device, all your devices are automatically updated, wherever you are. 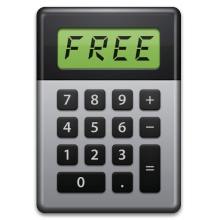 Save thousands of pounds by letting us deal with the day-to-day running of the hardware, network and software. 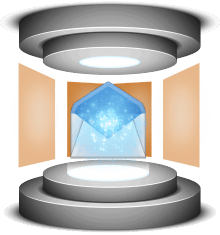 We manage all aspects of your business email hosting so you don’t need to buy your own expensive business email server and set up Microsoft Exchange yourself – instead you can spend time concentrating on your business. Your business email is backed up nightly and hosted in our state-of-the-art UK data centres, which are staffed 24×7 every day of the year. Enterprise-class virus and spam protection is a core feature of every account, and to help prevent unauthorised and accidental distribution of data, Microsoft Exchange includes a wide range of information protection and control features for additional security. If you already have Microsoft Exchange 2003, 2007 or 2010 emails hosted elsewhere, you can transfer them to us quickly and easily without data loss or downtime. Hostranet is the trading name of AirNode Networks Ltd, a registered company in England & Wales. Company number: 07562362. Copyright © 2007-2018 hostranet.Com - All rights reserved.